OKKY - 요소유형 "mapper"의 컨텐츠가 일치해야 한다는 에러를 해결하지 못하고 있습니다. 경험많은 선배 개발자분들의 조언이 필요해 이렇게 글을 씁니다. org.springframework.beans.factory.BeanCreationException: Error creating bean with name 'boardDAO': Injection of resource dependencies failed; nested exception is org.springframework.beans.factory.BeanCreationException: Error creating bean with name 'sqlSession' defined in file [C:\Users\PC-18-06-07-02\eGovFrameDev-3.8.0-64bit\workspace\.metadata\.plugins\org.eclipse.wst.server.core\tmp0\wtpwebapps\BoardTest\WEB-INF\classes\egovframework\spring\context-mapper.xml]: Invocation of init method failed; nested exception is org.springframework.core.NestedIOException: Failed to parse mapping resource: 'file [C:\Users\PC-18-06-07-02\eGovFrameDev-3.8.0-64bit\workspace\.metadata\.plugins\org.eclipse.wst.server.core\tmp0\wtpwebapps\BoardTest\WEB-INF\classes\egovframework\sqlmap\example\mappers\BoardMapper_SQL.xml]'; nested exception is org.apache.ibatis.builder.BuilderException: Error creating document instance. Cause: org.xml.sax.SAXParseException; lineNumber: 96; columnNumber: 10; 요소 유형 "mapper"의 콘텐츠는 "(cache-ref|cache|resultMap*|parameterMap*|sql*|insert*|update*|delete*|select*)+"과(와) 일치해야 합니다. nested exception is org.apache.ibatis.builder.BuilderException: Error creating document instance. Cause: org.xml.sax.SAXParseException; lineNumber: 96; columnNumber: 10; 요소 유형 "mapper"의 콘텐츠는 "(cache-ref|cache|resultMap*|parameterMap*|sql*|insert*|update*|delete*|select*)+"과(와) 일치해야 합니다. 이부분 문제로 인한 에러라고 판단하고 있습니다. 기본 설정은 샘플 프로젝트 내 설정을 기준으로 했습니다. 전자정부에서 권장하는 형태를 기준으로 CRUD 를 구성하는것을 목표로 하다가 제한되어 글을 씁니다. 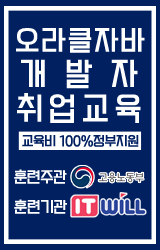 웹 어플리케이션 동작과 함께 index를 통해 boardList로 이동하도록 설계했습니다. 1. XML 문 입력이 미흡하여 위와같은 문제가 발생했다고 생각합니다. 제가 사용하고 있는 BoardMapper_SQL.xml전문은 아래와 같으며 주석처리한 부분은 처리했습니다. 2번째 원인으로는 Mybatis 사용 미숙으로 인한 세팅 오류일것으로 판단됩니다. return "BoardVO [bno=" + bno + ", title=" + title + ", content=" + content + ", writer=" + writer + ", regdate="
모쪼록 부족한 후배에게 가르침 부탁드립니다. 위 사진 처럼 분명히 기입이 되어있는데 게시물 등록시 저장이 되지 않네요.